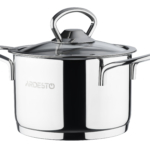 Luna series pots are made of stainless steel 18/10. 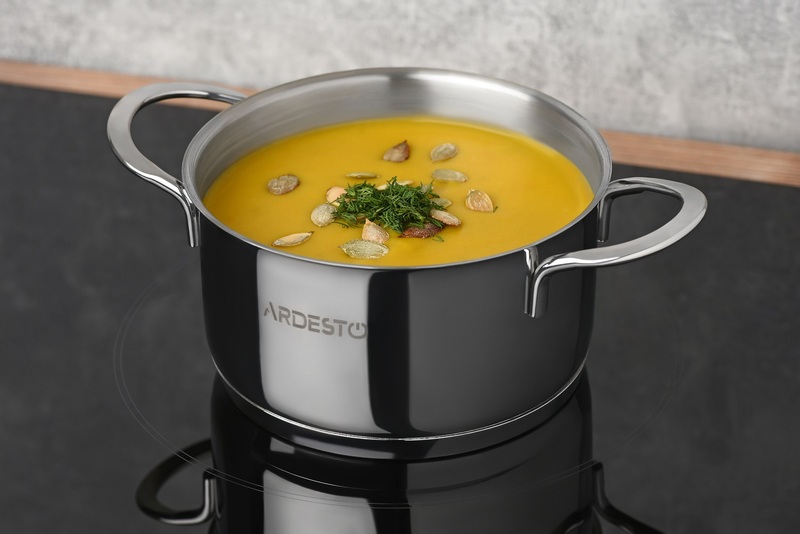 They are compatible with all types of cookers, including the induction. and Pots are dishwasher safe. Luna series pots are available in different sizes, so everyone can choose the required capacity for special needs. The outer part of the pot gas chrome covering. 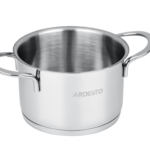 Metal handles slowly heat and cool quickly. 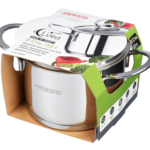 A heat-resistant glass cover is supplied with a pot.